AMC’s 10-episode series “Dietland” inexplicably shows up under the genre “comedy,” and make no mistake, this not a comedy. It’s not even that popular mashup genre, a “drama-dy.” Based on the well-received 2015 novel by Sarai Walker, “Dietland” follows the travails of writer Plum Kettle. Because of her socially unacceptable obesity, Plum works “behind the scenes,” and lands a gig at the hip teen magazine “Daisy Chain.” She’s given the unenviable task of being the ghostwriter for the reedy Kitty Montgomery (Julianna Margulies). Her primary responsibility is as acting agony aunt, answering letters-to-the-editor. Her in-person check-ins with Kitty are filled with primed, primer-ed, and pulled editor throwing out not-so-thinly-veiled insults designed to put Plum in her place (this, despite the fact Plum has actually put herself in a self-isolated world, retreating to her womb-like apartment in the middle of New York City). Plum also runs through the trending themes of the letters, which Kitty uses to inform upcoming articles, which she hands out like prizes to other — unseen, but clearly favored — writers. Plum, beaten down and dour, skirts through the tony offices of “Daisy Chain” and the streets of Manhattan, make-up free, hair lank, clothing shapeless. It’s a self-fulfilling presentation. Few notice her, and when they do, she often has insults directed at and hurled at her. L.A. native writer and executive producer Marti Noxon place this farcically. About 100% of people traveling through the city are either locals or tourists, and expend so much energy (and speed!) getting to wherever they’re going, there is, in reality, very little time to, unprovoked, pick on or mock anyone. This heightened-reality borders on the farcical for about 90% of the series. If Meryl Streep’s Miranda Priestly (more than a little the inspiration for Kitty) was exaggerated, Margulies’ Kitty is downright cartoonish. By the final episode of the season, she has morphed into a too-thin, too-coiffed, too painted Monster High doll. For those of you unfamiliar with the particulars of that line of Mattel dolls, check out the character C.A. Cupid (the only character to also appear in the spin-off line, “Ever-After High). The recurring theme throughout the series is clearly supposed to be self-acceptance, but it is presented in such a convoluted manner, it’s not clear what is actually considered self-acceptance. At the series open, Plum is wholly motivated to get stomach stapling. Exhausted from diets and feeling overlooked, she longs to be “normal” or average side. Despite her mother’s misgivings, she is determined to get the surgery. The parallel narrative centers on a Femi-nazi terrorist group — “Jennifer” — that is taking drastic measures, including using suicide bombers and making overly couched statements by serial and mass killings. There’s little to relate to, to or be amused by, or be sympathetic to, a group of murders. Despite being oft-referenced, the “manifesto” the group writes and the lines spewed by its goth-y pushy members, is trite. Still another storyline explores “Calliope House,” which may or may not be a kind of shelter for battered or abused women. It’s run by the wealthy daughter of a woman’s whose watershed (and we soon learn, fake) dieting program was followed by many women. The acting — including star Joy Nash, who plays Plum — is terrific. It is as though AMC just culled through a group of stand-outs from other series, and put them into this odd, unfocused world. Bringing their acting chops to “Dietland” are “Law & Order: SVU’s” Tamara Tunie, “Deadwood”/“American Horror Story: Roanoke”/“Big Little Lies’” star Robin Weigert, “Copper” and “Preacher” actor Adam Rothenberg and the aforementioned Margulies, once of “ER” (for which she won an Emmy” and currently on CBS’ “The Good Wife.” he cast is excellent, and the setting authentically New York, rather than the often-substitutes-for-NYC Toronto or Vancouver. 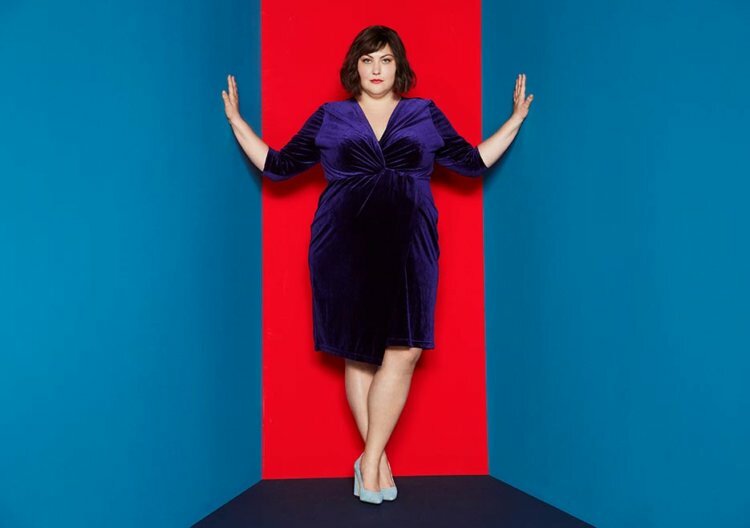 “Dietland” is not without clever devices, such as live-action fantasy and animated sequences. Nash, who is an extremely popular voice actor, provides a coy and wry narration that is truly engaging. But ultimately, the series ends up being extremely problematic. By the end, when Plum has joined “Jennifer,” everyone on screen is pretty unbearable — and their motives are so well hidden, the show’s writers and producers and directors couldn’t find them. 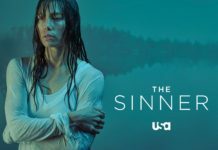 It is unsure which of the running narratives it wants the audience to root for, and, ultimately, becomes unsatisfying. By the end, there’s just too much navel gazing. Ultimately it’s unsurprising that whatever message they’re trying to get across is so tangled and muddled, they should probably start over. In trying to give equal time to the campy evil brought by Kitty, the hope of the downtrodden Plum, a voice to subversive feminism, and a shoutout to loving someone’s insides rather than outsides, it is a hot mess. A well-done hot mess, but a problematic mess nonetheless.